Legend says that after inventing champagne Dom Perignon called out his fellow monks with the words “Come quickly, I am tasting the stars!” Truly, this famous festive drink does throw a party in your mouth and makes your taste buds feel playful and cheerful. However, mister Perignon didn’t know that one day people throughout the world will keep champagne bottles in their cabinets, sometimes even for years. And what happens after a period so long? Do the stars fade away or the champagne is still bubbly and OK to drink? In this article we will try to get to the bottom of this and determine the proper ways of storing the champagne to prolong its shelf life. 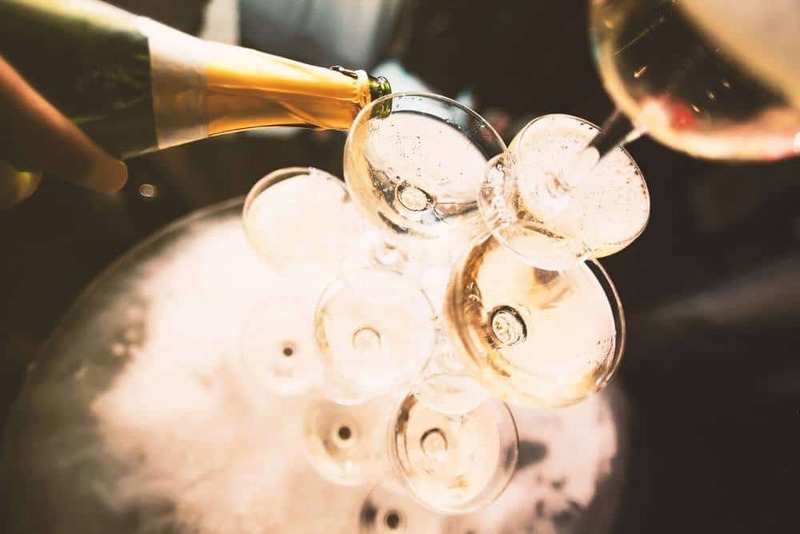 We already know that red and white wine can age, but champagne is very different than them in various characteristics, so can champagne age too? Sure it can. In fact, some people rather enjoy vintage champagne. The only question is whether you will like it when it loses a little fizz. However, what it loses in fizz, it compensates in character and complexity of flavors. Still, you should know that not all champagnes are made to age, there are non-vintage varieties that has an expiration date. Why Vintage Champagne Can Be Great? If you do come around to a bottle of vintage champagne, make sure to try it. It is a very special type of wine because it is made only in years when the quality of harvest was extraordinary. Because vintage champagne is aged for longer and made of better quality grapes, the excellence of the wine is a definite improvement too. 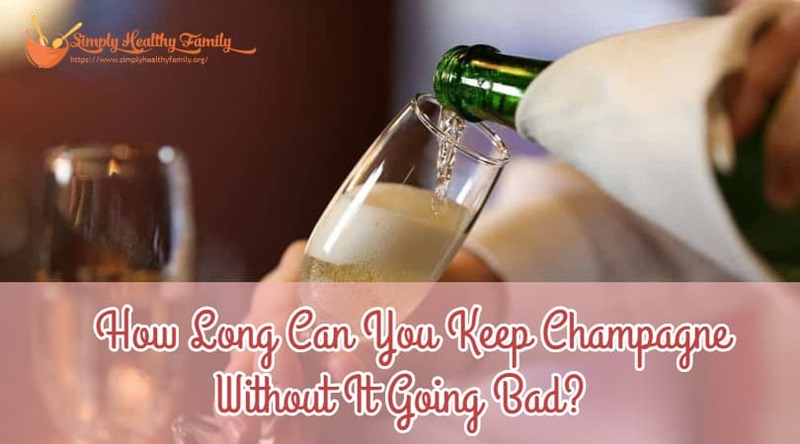 How Long Does Vintage Champagne Last? Unfortunately, vintage doesn’t translate to infinite shelf life, and this type of champagne can also go bad. When unopened, vintage champagne can remain good to drink for five to ten years from purchase. If the bottle is opened, you should re-cork it, store in a cool and dry place and keep it for three to five days. How Do You Know Is Your Champagne Vintage? So, you’ve bought a bottle of champagne, but there is no label saying that it is a vintage wine? How can you tell? Well, it’s pretty simple, just look at the front label and check whether the year of production is stated there. The non-vintage champagnes almost never have the year when they were produced displayed there. How Long Does Non-Vintage Champagne Last? Non-vintage champagne has a pretty decent shelf life too. When stored unopened, it can remain good to drink for three to four years from purchase (not from the date on the label). When properly stored opened, non-vintage champagne can last for three to five days without spoiling. How To Store An Opened Champagne Bottle Properly? It happens, you open a bottle of champagne to celebrate something and then you see one or two glasses are perfectly enough. What to do with the remaining champagne? Will you spill it into the sink or pour a couple of glasses more despite your common sense? Don’t worry, you can store it for three to five days more, but only if you do it right. First you need to seal the bottle properly. The most obvious way is to put the cork back into the bottle hole. However, that can be very difficult sometimes. A neat and much easier way to seal your half-full (or half-empty, depending on the way you look at it) bottle of champagne is by using a champagne sealer you can buy in various supermarkets, wine shops or online. It is usually made of stainless steel and it creates airtight and leak-proof seal. This way, the bottle can even be stored horizontally without the risk of the champagne spilling. If you don’t have a bottle sealer on you and you can’t find a way to put the cork back in, you can at least cover the hole with a plastic wrap and secure with a rubber band. Store it in the fridge, vertically, because this improvised seal is not leak-proof. 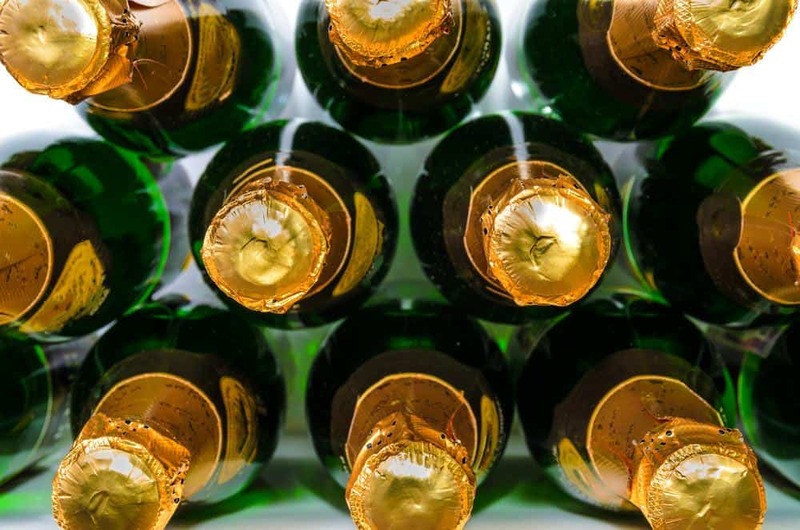 Champagne should be stored in the refrigerator, but if you don’t have enough room in the fridge or can’t keep it there for some reason, you can also keep it in a cool room (for a shorter period), such as the basement. How To Store An Unopened Bottle Of Champagne Properly? 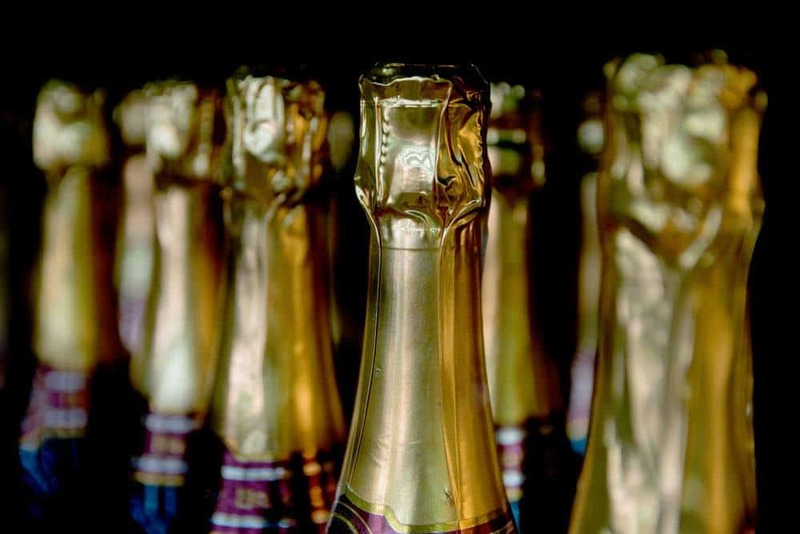 Even if you don’t have a wine cellar, it is pretty easy to store champagne the right way. If we are talking about short-term storage (for up to three months), you should just find a dark cool room, where you will store your champagne bottle standing up. Long-term storing is another story. In that case, the bottle should be store on its side on a wine rack or a similar shelf. The bottle shouldn’t be exposed to bright or artificial light. The best temperature for storing is from 44 degrees Fahrenheit to 50 degrees Fahrenheit. Also, the space shouldn’t be exposed to frequent and sudden temperature fluctuations, so avoid storing the bottles in the kitchen. Another important thing to know is that the size of the bottle also impacts the storage period. Half-bottles don’t have a commendable capacity to age, so they shouldn’t be kept long-term and stored horizontally. 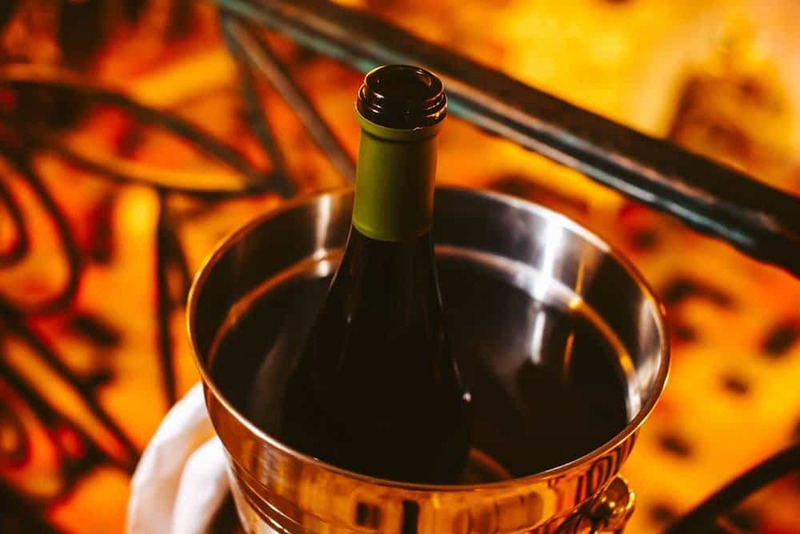 Bottles of 750ml age well and at a moderate rate, while magnums (1.5 liters) are the best for long-term storing, because the wine to surface area ratio allows a slower more even maturation of the champagne and enduring flow of bubbles. Many people throw away the champagne because they don’t know how long a bottle can be kept for (especially after it’s been opened) and they are afraid it will turn bad. Sometimes you can forget when you bought the bottle or forget that you have opened it. Pouring away perfectly good champagne is a big shame. However, now you know how to store it properly and how long can you keep it without it going bad. So the next time when you think about throwing away a whole or a half bottle of champagne, just try to remember, how long do you have it, and use this guide to find out is it still good to drink.